Dance comes in many different styles and formats and can be enjoyed as a sport, physical activity or performing art. A dance competition traditionally involves multiple competitors, normally in groups, being awarded scores by a panel of judges. The groups are placed, with the highest score at the end of the competition declared the winner. Dances can be scored on a variety of criteria, for example: Variety (use of movement, execution of style), Musicality and Creativity, Choreography & Performance. Competitions also provide volunteering and leadership opportunities and an arena to showcase achievement of an individual or groups best efforts. Dance covers a very broad variety of styles, which cannot collectively be easily defined as Sport or Art and likewise a variety of style specific governing bodies and other interested organisations champion their own view of the landscape. Dance bodies have previously looked towards gaining inclusion into the Olympics, with Break Dancing (a StreetDance style) having been awarded a place in the 2018 Youth Olympics. 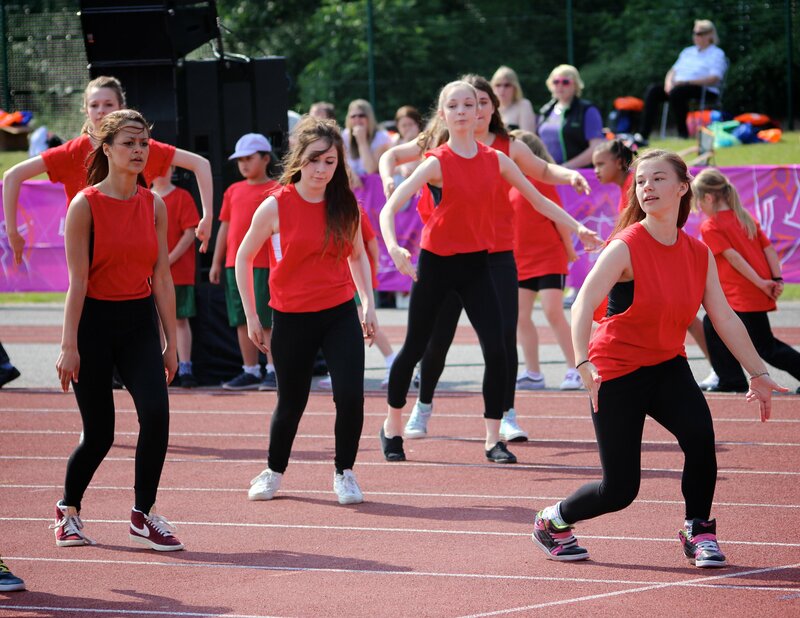 Competitive dancing can be traced back for generations, across many styles; from competitive ballroom dancing, which now has profile through TV shows like Strictly through to StreetDance, which is always prominent on shows like Britain’s Got Talent and Got to Dance. EMD UK - the National Governing Body for group exercise – please click here for more information. You can also access EMD UK's school hub here. In order for a competition to be considered part of a School Games provision, it must follow a School Games format. All School Games registered users have access to our sport formats and can access the formats for this sport by clicking the button below. Alternatively, you can download the full Dance format pack by clicking here.